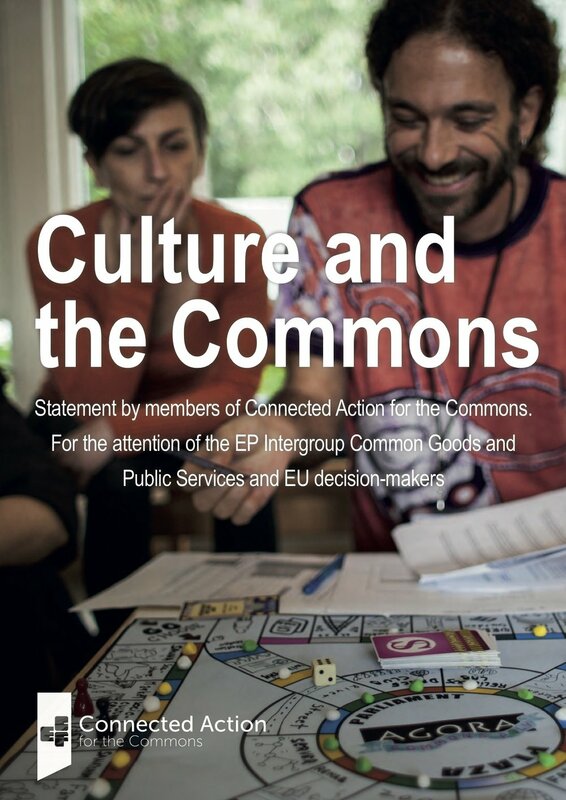 Connected Action for the Commons, our European-wide network of cultural organisations accelerating the movement of the commons in Europe has prepared the statement "Culture and the Commons" urging European decision-makers to embed culture as an important perspective and practice contributing to the commons in their policy deliberations. The meeting in the European Parliament, in cooperation with the EP intergroup on Common Goods and Public Services, and part of the European Commons Assembly, takes place on 16 November and will be streamed on this channel. Connected Action for the Commons is an ECF initiated network of six cultural organisations from across Europe: Culture 2 Commons - Alliance Operation City, Clubture Network, Right to the City - (Croatia), Les Têtes de l’Art (France), Krytyka Polityczna (Poland), Oberliht (Moldova), Platoniq - Goteo (Spain), and Subtopia (Sweden). You can learn more about the network on our Meet the hubs page. ECF is happy to support the European Commons Assembly, together with Charles Leopold Mayer Foundation and Lunt Foundation, that takes place in Brussels on 15-17 November 2016. The objectives of this event are to gain visibility and credibility for the commons movement at large, make concrete legislative and funding proposals, and promote direct democratic participation in EU institutions. Some of our Connected Action for the Commons hubs, as well as R&D grantees will join. The event will be documented by our partner ZEMOS98.